Vio Foam - FOOD. NOW. We hold computers in the palms of our hands. We wear devices that nudge us to get off the sofa every once in a while. We skip the Black Friday masses at the mall in favor of shopping online from home. As technology continues to be a driving force in our daily lives, it’s no surprise that even food has become an on-demand expectation. The takeout trend is quickly proving to be more than a short-term fad – it’s becoming a way of life for many time-pressed consumers. The market is ripe with opportunity and there are a variety of options designed for today’s lifestyles. If you’re looking to get a larger piece of the takeout pie, here are three tips to help you get it just right. UberEATS is just one service currently in play and there are several others that can get you started immediately. They actively aim to hire responsible, friendly drivers with great communication skills and a knack for timeliness. 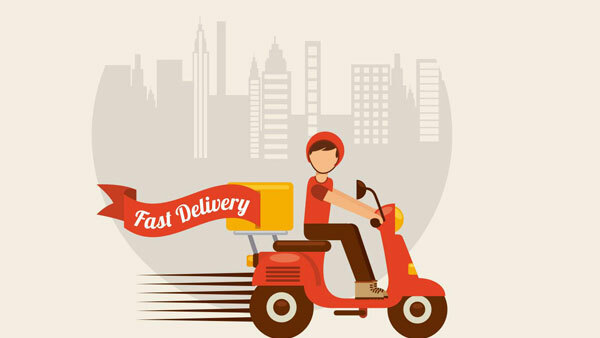 The larger delivery services lessen the time and effort of taking online or phone orders and increase the efficiency of the whole process. Most importantly, you want to partner with someone who cares as much about customer satisfaction as you do. These services aren’t just for big cities anymore – check your local areas for what’s already available in your community or will be soon. In the food industry, quality is key. The last thing you want is for people to have a poor experience with your food, especially when you’re not there face-to-face to make things right. If a menu item doesn’t travel well, then it doesn’t belong on your takeout menu. Choose food and drinks that are less likely to be affected by drastic temperature changes or lose their freshness before customers have a chance to enjoy them. You’ll also want to consider distinctive dishes that uphold your competitive advantage. Almost anyone can send out for pizza and sandwiches, so what are the signature selections your customers simply can’t live without? Is it your Octopus Po’ Boy? House Jambalaya? Thai Iced Tea? Make sure customers can get their foodie fix even when they can’t face leaving the sofa. The key to making sure your specialties arrive to your customers as you intended is to choose the right disposable products for the job. Tepid soup, watered down drinks or sides that have lost their steam simply won’t do. Consider the Vio™ line of biodegradable* cups, containers, lids and straws to ensure perfect hot and cold delivery – with the added benefit of showing customers you care about making the right choice. Vio also offers custom printing options so your commitment is visible and your brand stays top of mind. The important thing is that customers have a great experience and can’t wait to order again.